Join international volunteer management expert Lucas Welter from AFS Intercultural Programs to learn how to better manage, motivate and prepare your volunteers to achieve your organization’s mission. The AFS “Managing Volunteers for More Impact” hands-on, interactive workshop helps new and experienced coordinators maximize the potential of your volunteers and improve the volunteer experience. The day-long program will train volunteer managers how to do their jobs more effectively, use volunteers more strategically and develop the trainings and tools that will make volunteer activities more successful. Register: This event is open to anyone interested. If you would like to attend, please write to [email protected] (phone +1.212.807.0932). The cost is $275 for the full day, with lunch and refreshments included). Who should attend? Volunteer managers and coordinators, executive directors, program managers, anyone interested in designing and managing a more engaging volunteer program. Date: Tuesday, 11 December 2018 in New York City (from 9 am to 4 pm, lunch and refreshments included). Discuss current trends and challenges in the volunteer landscape. Master the art of managing competing and changing volunteer expectations. Learn how to meet the needs of the organization and its volunteers. Exchange ideas on how to use survey results to improve the volunteer experience. 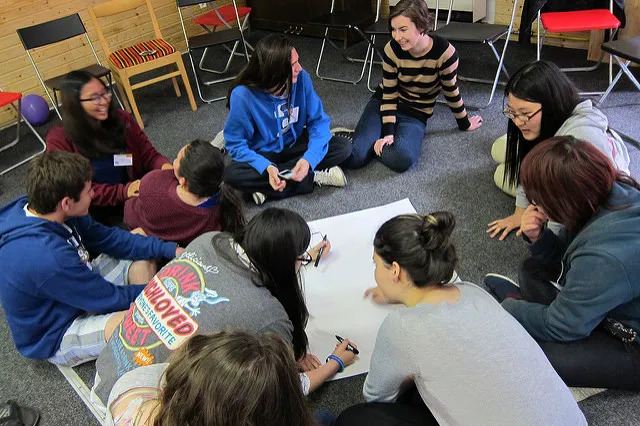 AFS Intercultural Programs is the leading volunteer-driven international education organization working towards developing global citizens, empowering schools and institutions, and expanding access to intercultural education to build a more just and peaceful world. The AFS Network consists of 60 independent organizations in 60 countries supported by 50,000 volunteers worldwide. Lucas Welter is the Chief Organization Development Officer for AFS Intercultural Programs. His nonprofit experience spans more than 20 years and includes developing strategy and engaging volunteers and executing projects at the local, national and global level. Lucas has worked in organizational development and volunteer engagement in more than 50 countries, helping organizations tackle complex structural mechanics in search of innovation. An experienced and dynamic presenter, Lucas has significant experience in conducting creative, interactive and productive training workshops. He majored in Business Administration and Planning and holds a Master in Organizational Psychology from the London School of Economics and Political Science (LSE). Originally from Brazil, he has lived extended periods of time in the Australia, Dominican Republic, England, Puerto Rico and Italy. He is currently living in New York City.